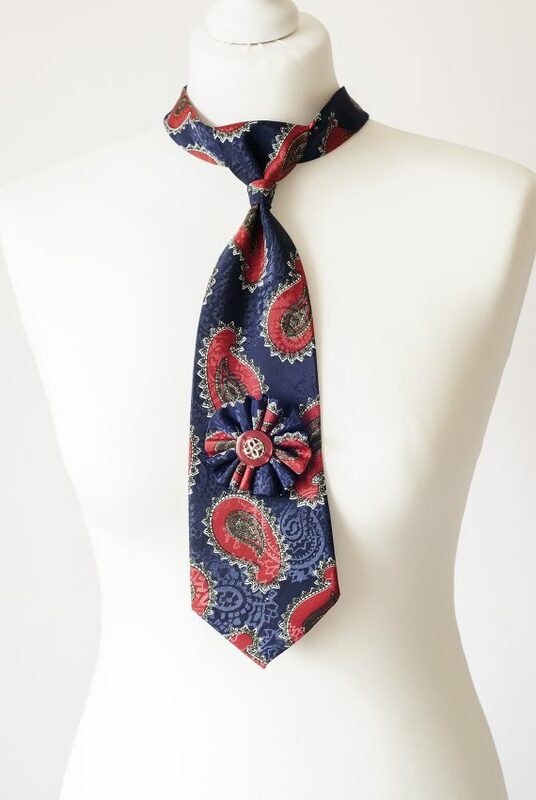 Elegant Necktie Handmade from Good Quality Polyester Tie and Decorated with Rosette and Fancy Pearlescent Button. piece. Their collars are slightly longer than you neck size, just to give some space for your shirt collar, if you would decide to wear it in a traditional way.